When PepsiCo asked me to try a new snack, I couldn’t wait! 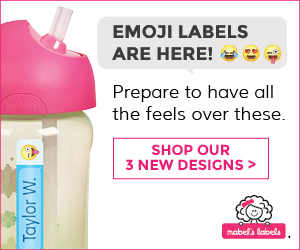 They sent me a case of Twistos!! 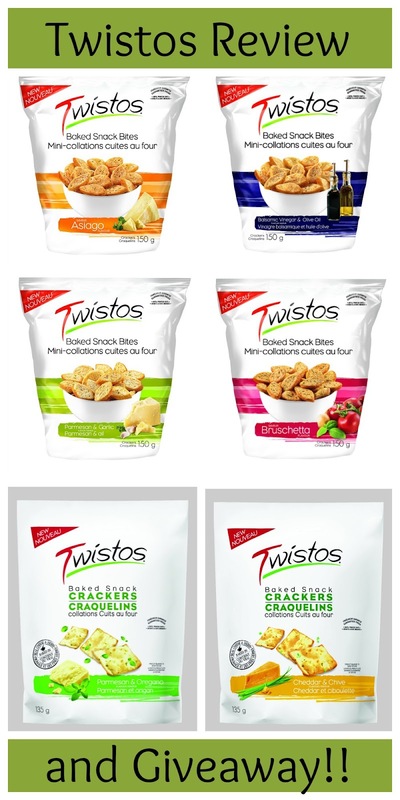 Twistos Baked Snack Bites and Baked Snack Crackers come in 6 different flavours — something for everyone. The Baked Snack Bites are like little crispy croutons with amazing flavour! And newest flavour is great — Balsamic Vinegar & Olive Oil. The Baked Snack Crackers are a nice light snack. My neighbour and I enjoyed the Cheese & Chive flavour with a glass of red; it made a nice combination! The Parmesan & Oregano is also very yummy. Both Baked Snack Bites and Baked Snack Crackers can be prepared in a multitude of different ways and are less than 100 calories per 20g serving. Dip them, add a spreadable topper, cut them up and add them to salads, or eat them on their own– the possibilities are endless! Enter to win a big box of Twistos Baked Snack Bites and Baked Snack Crackers for you and your family to enjoy!